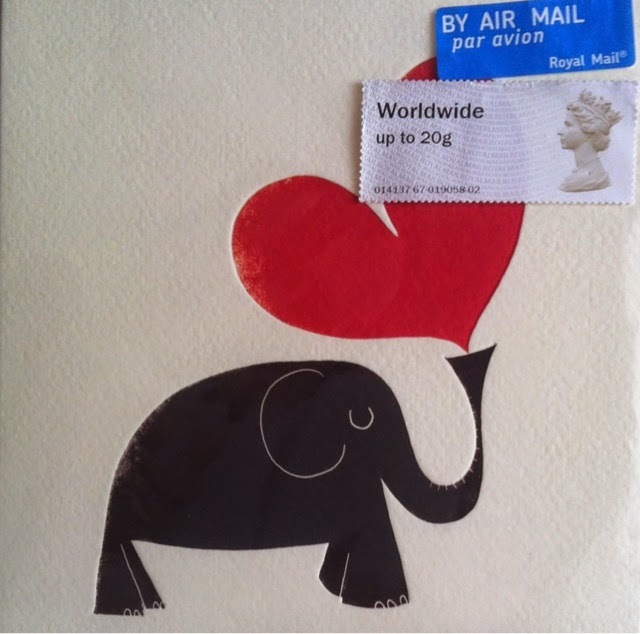 I’m sending my baby a handwritten letter each week – with decorated envelopes – to brighten up her institutional post office box at University. We still snapchat and text and FB message and Skype, but there’s something to be said for receiving a handwritten letter in the mail. On the bright side, it’s pretty impressive that a little elephant can float all the way across the Atlantic with a heart balloon half the size of its body. I just might try it myself. I think the trick is that you need a stamp on your balloon that says “worldwide.” Then the winds take you pretty much wherever you want to go.